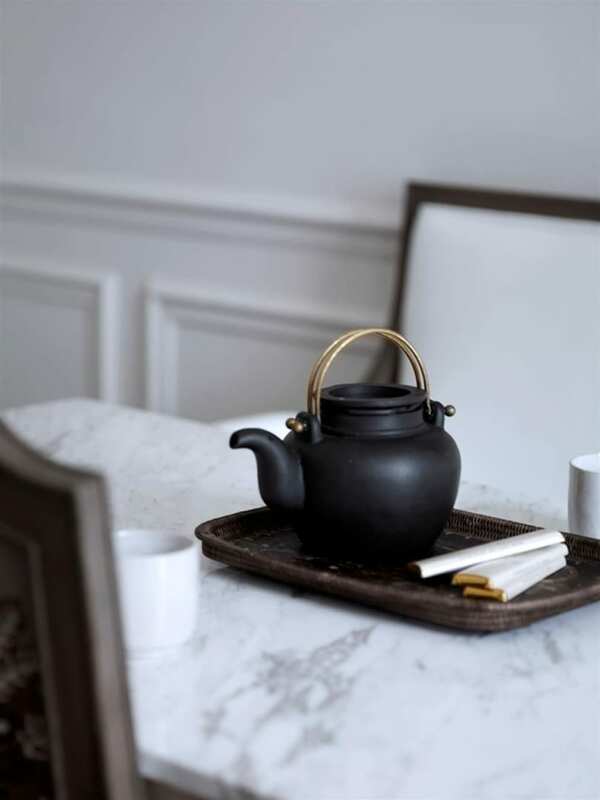 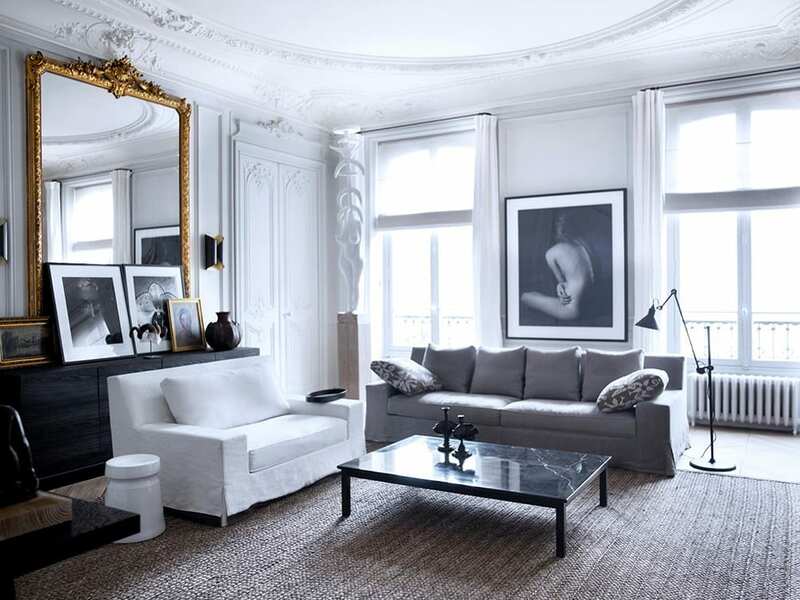 I’ve seen this Paris apartment on Pinterest many times, there’s something so elegant about it and you get the feeling that the owner has mature tastes and style. 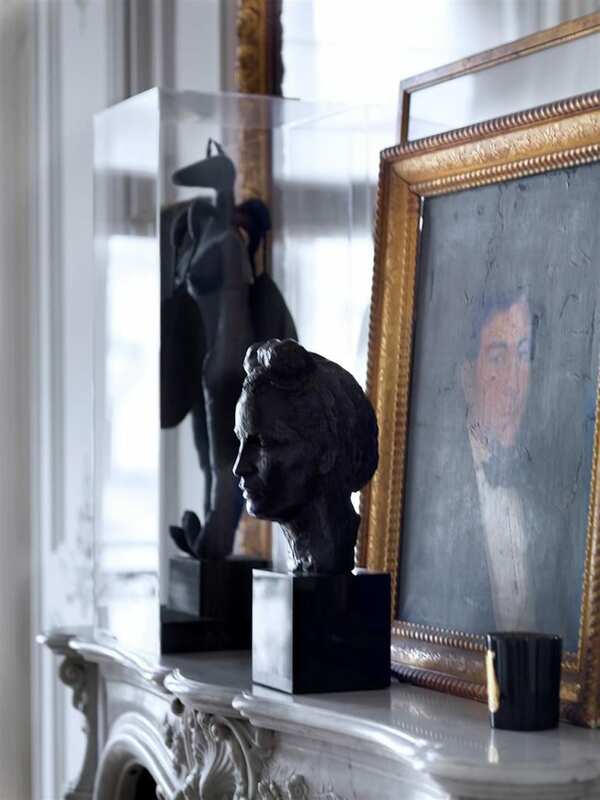 They seem well-travelled, having built up such an impressive and assorted art collection. 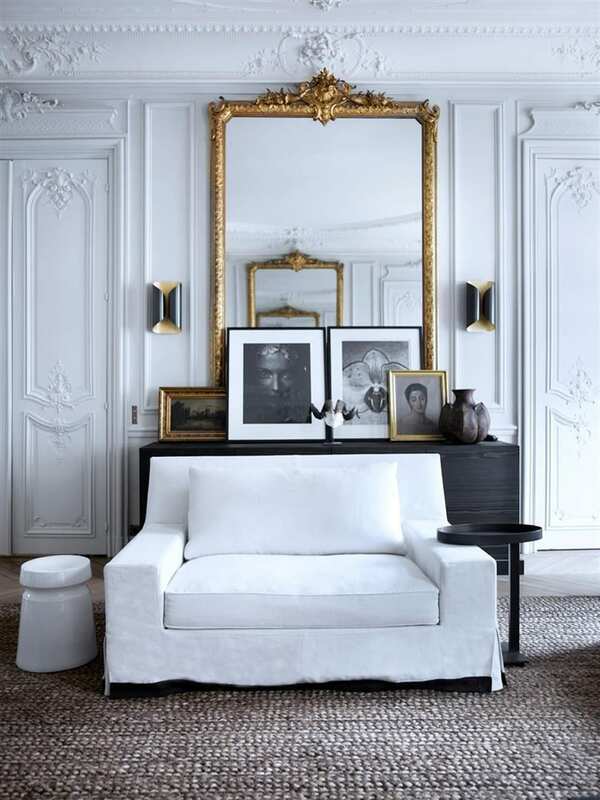 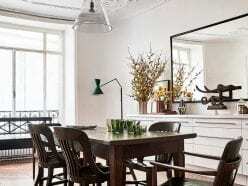 There’s also the mix of old and new that feels very natural, the ornate high ceilings, cornicing and panelling combined with simple modern lighting, seating and tables that also suggests to me that they are a collector. 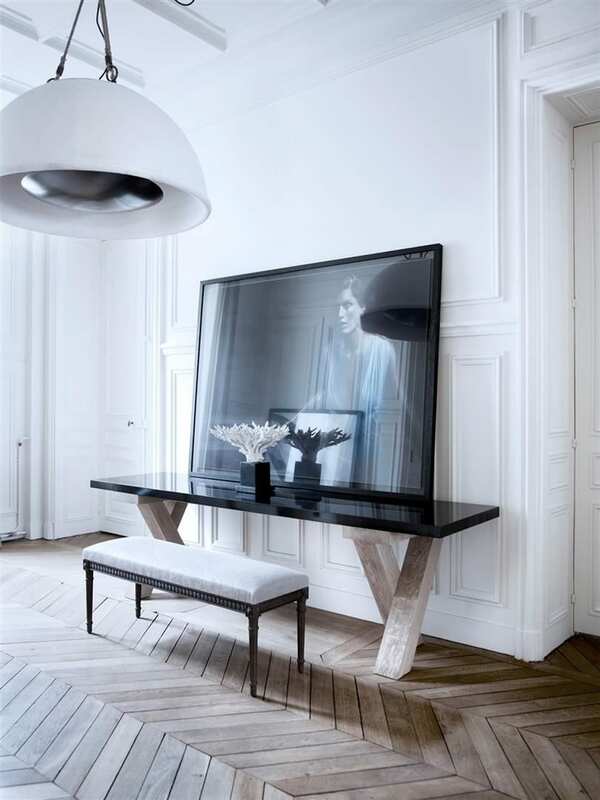 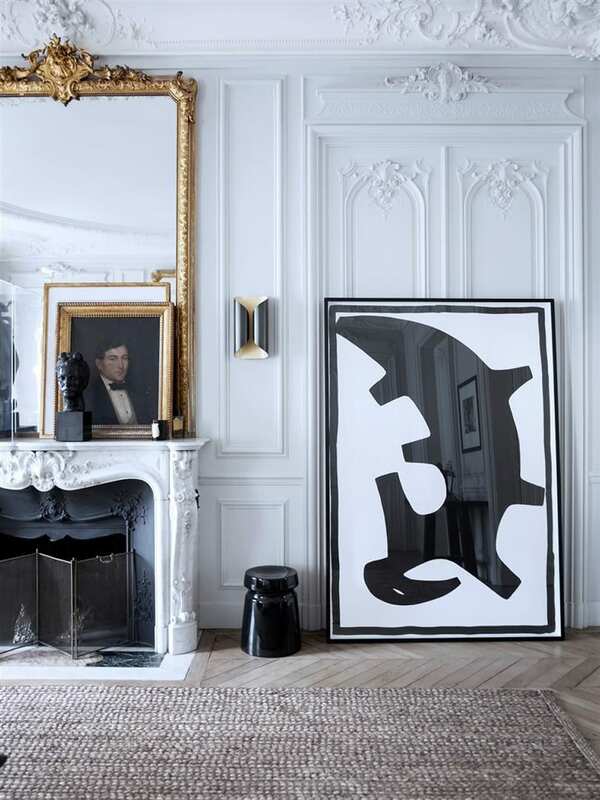 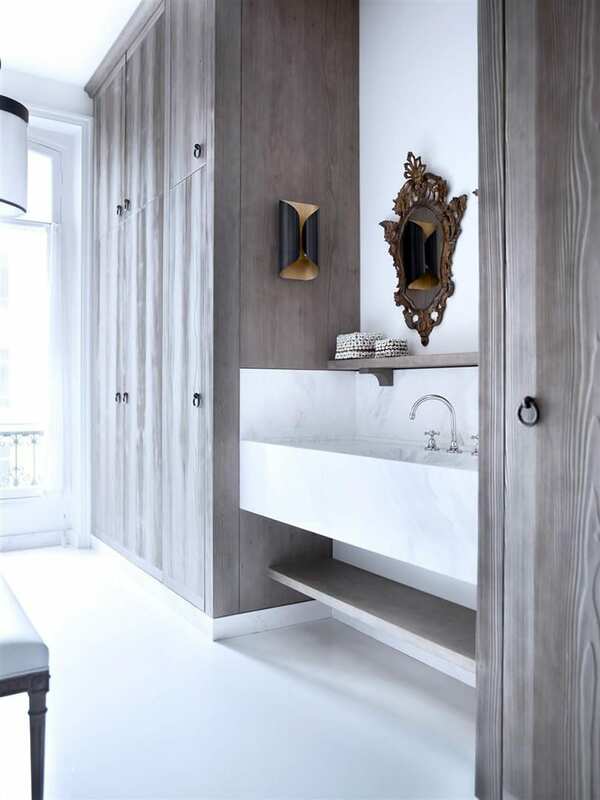 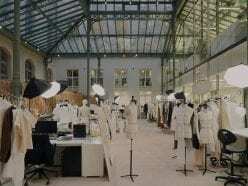 The truth is that the clever mix of old and new was the work of Gilles et Boissier, a couple with exceptional taste and a sympathetic understanding of exquisite materials. 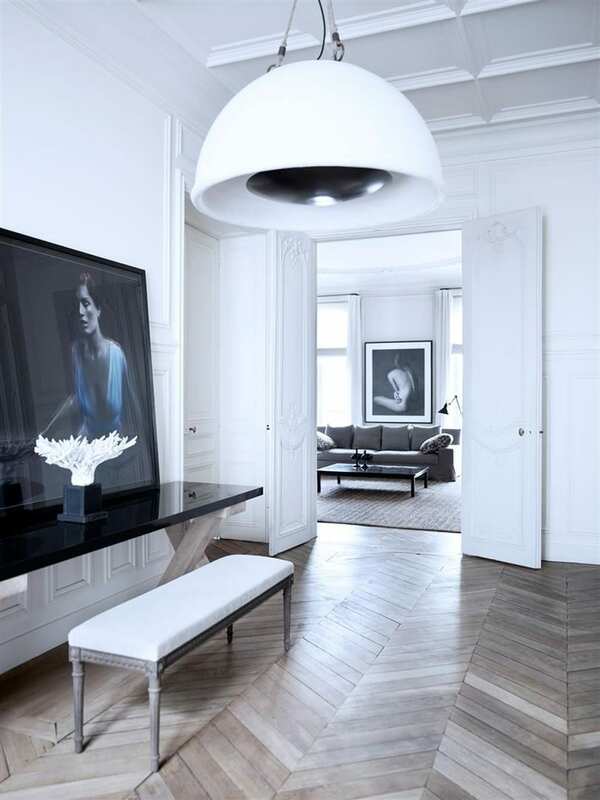 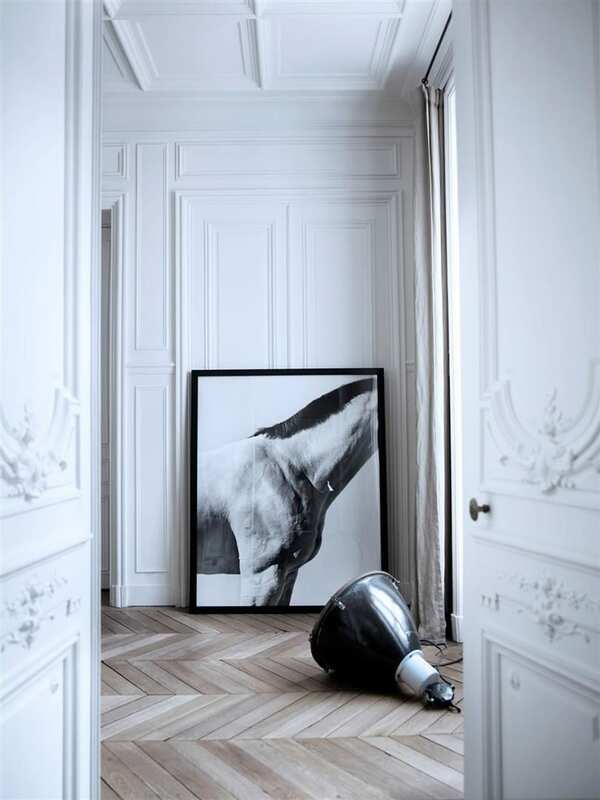 The classic parquet flooring throughout much of the apartment is so beautiful. 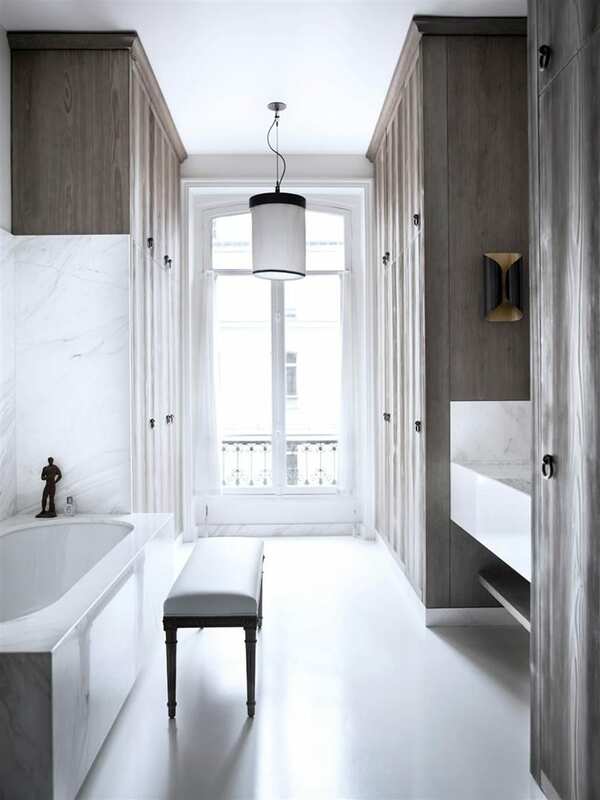 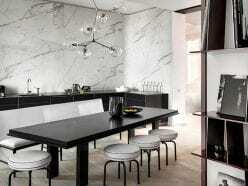 The clean and elegant Carrara marble in the kitchen carries through into the bathroom creating a clean fresh space. 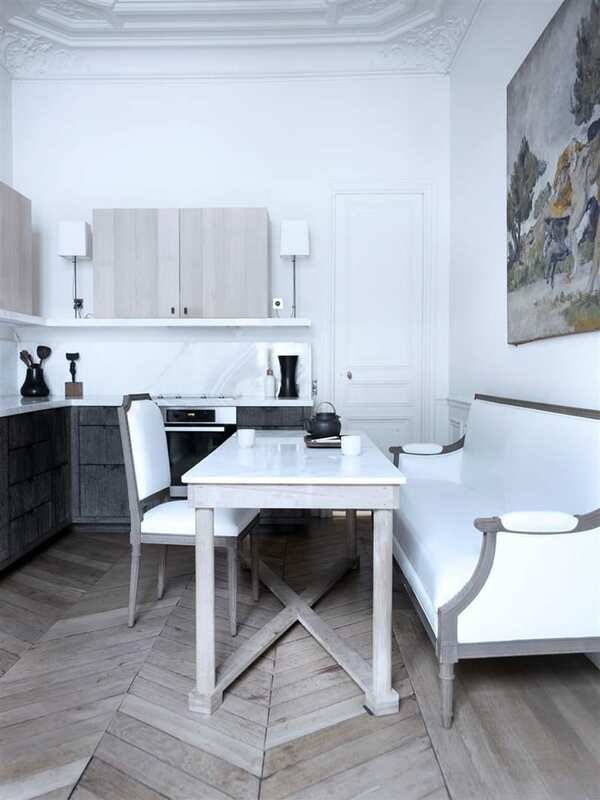 Modern square-cut wooden furniture with simple paint washes sits next to traditional upholstered ornate chairs or mirrors. 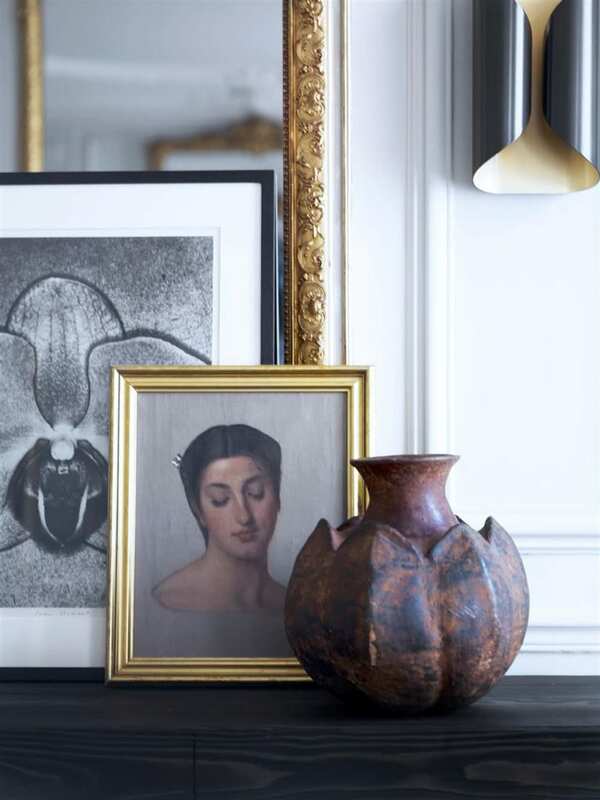 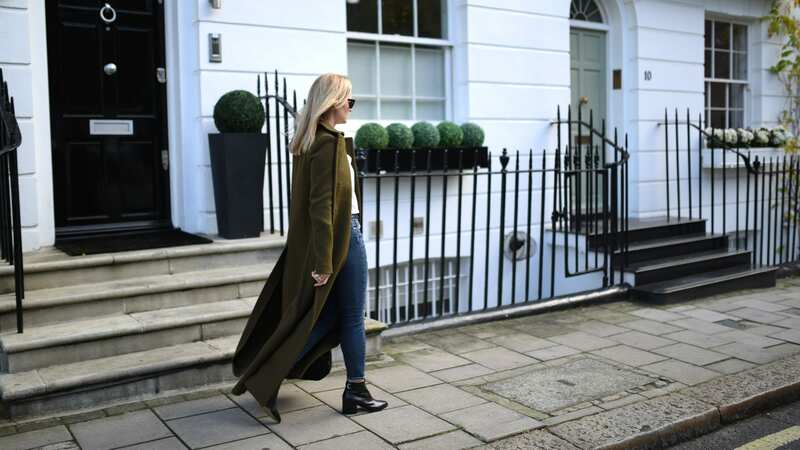 It’s a stunning combination with a light and airy feel.